Oh dear...I bought seven more books today. Noel tells me I'm addicted to books, especially these Kindle deals. It's madness. 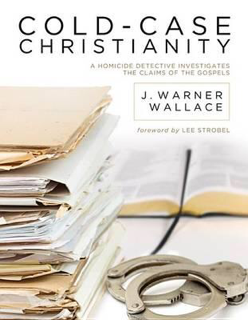 But with such an interesting title like this one, Cold-Case Christianity, A Homicide Detective Investigates the Claims of the Gospel, which has a foreword by Lee Strobel, who wrote Case for Christ that is catalyst to my learning more about my faith through these fabulous writers and their work, and with such a good deal at $3.82 after a 80% discount, how can I not get a copy. I have started on it today and I think it will be a very good read. But my colleague did ask me a very obvious question, where do I find the time to read to catch up with the number of books I'm buying? I really do not have an answer to that.